Saturday | June 17 | 2:00 p.m.
* This event is free. Doors will open at 1:30 p.m.
** This series is co-sponsored by The Freer/Sackler Galleries, the Smithsonian’s Museums of Asian Art. Robert Lachmann was a German-Jewish ethnomusicologist. In the 1930s, his radio show “Oriental Music” explored the musical traditions of Palestine and included regular live performances by musicians from different ethnic and religious groups. Inspired by Lachmann’s musicological studies, Palestinian artist Jumana Manna travels through Israel and the Palestinian territories of today with recordings from the program. What do these songs sound like when performed by Moroccan, Kurdish, or Yemenite Jews, or by Samaritans, members of the urban and rural Palestinian communities, Bedouins, and Coptic Christians? 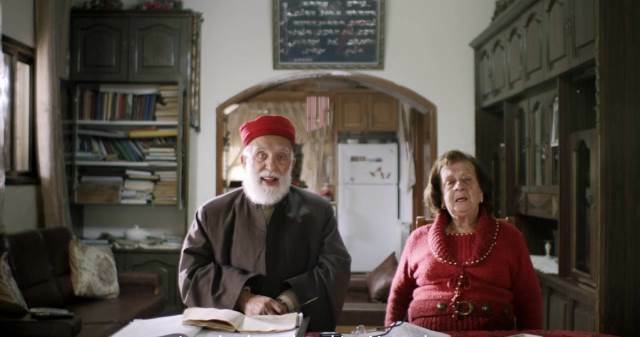 When a true fascination for history meets the sounds of the rababa, the saz, the oud, and tin cans, a cultural diversity emerges that subverts the distinction between “Arab” and “Jewish.” Description by the Berlinale.